John Compton is a Shareholder and a member of our business and tax law practice group and our estate planning, estate administration and asset preservation practice group. He practices in the areas of corporate and business law and transactions, as well as taxation, including tax planning, tax controversies and the representation of taxpayers before the Internal Revenue Service and Florida Department of Revenue. He also handles estate planning, probate, trust administration and asset protection matters. A 1994 graduate of the University of Florida, Mr. Compton received his Juris Doctorate degree from Cumberland School of Law in 1997. In 1998, he was awarded a Masters of Law in Taxation degree (LL.M.) from Boston University. Mr. Compton has an AV Rating by Martindale-Hubbell, which is the highest peer-review rating attainable.John is a member of the Alabama State Bar, the Florida Bar, and Sarasota County Bar Associations. 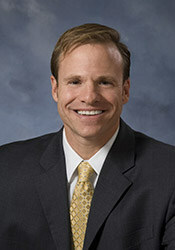 John has an active involvement in a number of charitable and civic organizations including serving as President and Chair of the Board of Directors of the Humane Society of Sarasota County, member of Downtown Sarasota Council, past President of the Sarasota County Bar Association Young Lawyers Division, past Chair of the Business Section of the Sarasota County Bar Association and a longtime Junior Achievement volunteer.